I nodded my head and asked Daniel, “so what stops you from doing all those things today?”. It is important that you, the reader, should also ask yourself this question every once in a while. Many people who were asked this same question described in their answer very basic activities, not necessarily related to money or social status, but rather personal relationships with the people they love. Daniel was referred to me through an Employee Assistant Program in his work place after he complained about various pains and many sick days due to medical issues. Daniel underwent several medical evaluations that found no physical problems with his body. He came to me for several sessions to receive help and mental support. He told me that he was boring at job. The clock never seems to move while he’s at the office and work is repetitive. His co-workers do not interest him and he would have already quit his job, but he can’t because he isn’t young anymore and have responsibility to support his wife and kids. As a result, Daniel began to develop anxieties and stress which translated into actual physical pains and discomfort in his daily life. Together, we agreed that because he cannot leave his job, he must find ways to deal with his anxieties and make the correct changes in his life. We discussed how he could find the motivation and energy to enjoy what he does have, instead of only focusing on what’s missing from his life. Through our sessions, Daniel understood that things he wished would happen and haven’t happened yet, such as life goals, will only happen if he actively works towards accomplishing them. Because he did not want to leave his job, it was now up to him to either feel stressed or make the decision to focus on the things outside of work that will bring him fulfillment and happiness, such as his wife and kids, or go on more vacations with his friends and family. 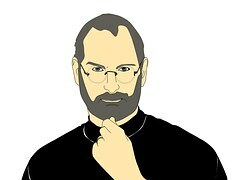 During his famous Stanford University commencement trip address, the late Steve Jobs began his speech with a similar question about life, “if today was my last day alive, would I be doing what I am currently doing today?” In his speech, he went on to say that he wakes up every morning asking himself this same question. If the answer is “no” for too many days, he knows that he must make a change. The realization that he might die any day is a vital tool that helps him make the important decisions in his life. Jobs said that fear, pride, failure, and shame all fizzle away in front of death. Your time on this planet is limited and you must not waste your days while you are still here. Strive to live every day doing what is truly important to you.